My Baby is Lactose Intolerant – Shall I Use Soya Infant Formula? This is a commonly asked question from parents that come to see me for nutritional counselling in Cyprus where I live and work. I have prepared this document in answer to this question about soy infant substitutes for other lactose-containing powdered milks. 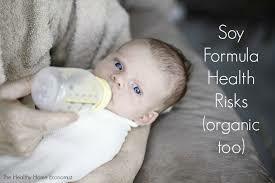 It’s still unfortunate that many paediatricians in my vicinity are blindly recommending soy infant formula without even looking at the research in order to make a more objective decision – needless to say the children are the victims, including one of my little girls, before becoming wiser to the dangers of soy infant formula. Soybeans are generally high in protein compared to other legumes but contain potent enzyme inhibitors that block the action of trypsin and other enzymes needed for protein digestion. In test animals, diets high in trypsin inhibitors depress growth and cause enlargement and pathological conditions of the pancreas, including cancer. Soy protein isolate, a powder extracted from soybeans, is the main ingredient in soymilk products. This is extracted through a process that involves not only high temperatures but also caustic chemicals. The alkaline soaking solution produces a carcinogen, lysinealine, and reduces the cystine content, which is already low in the soybean. Other carcinogens called nitrosamines are formed during high temperature spray drying. Soybeans also contain high levels of phytic acid or phytates. This is an organic acid, present in the outer portion of all seeds, which blocks the uptake of essential minerals - calcium, magnesium, iron and especially zinc - in the intestinal tract. Soybeans have very high levels of a form of phytic acid that is particularly difficult to neutralize. As early as 1967, researchers testing soy formula found that it caused negative zinc balance in every infant to whom it was given. Scientists have found a strong correlation between phytate content in formula and poor growth, even when the diets were additionally supplemented with zinc. 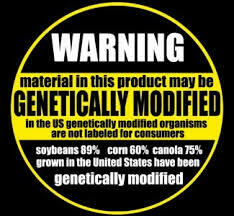 High amounts of phytic acid in soy foods and grains have caused retarded growth in children on macrobiotic diets. A reduced rate of growth is especially serious in the infant as it causes a delay in the accumulation of lipids in the myelin, and hence jeopardizes the development of the brain and nervous system. Soy formula can also cause vitamin deficiencies. Soy increases the body's requirements for vitamin B12, a nutrient that is absolutely vital for good health. 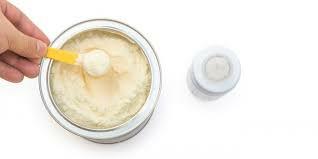 Early studies with soy formula indicated that soy blocks the uptake of fats. This may explain why soy seems to increase the body's requirements for fat-soluble vitamin D.
Aluminum content of soy formula is 10 times greater than milk based formula, and 100 times greater than unprocessed milk. Aluminum has a toxic effect on the kidneys of infants, and has been implicated as causing Alzheimer's in adults. Soy formulas lack cholesterol, another nutrient that is absolutely essential for the development of the brain and nervous system; they also lack lactose and galactose, which play an equally important role in the development of the nervous system. A number of other substances, which are unnecessary and of questionable safety, are added to soy formulas including carrageenan, guar gum, sodium hydroxide (caustic soda), potassium citrate monohydrate, tricalcium phosphate, dibasic magnesium phosphate trihydrate, BHA and BHT. What about the claim that soy formula is less allergenic than cows milk formula? Studies indicate that allergies to soy are almost as common as those to milk. Use of soy formula to treat infant diarrhoea has had mixed results, some studies showing improvement with soy formula while others show none at all. The most serious problem with soy formula is the presence of phytoestrogens or isoflavones. While many claims have been made about the health benefits of these estrogens-like compounds, animal studies indicate that they are powerful endocrine disrupters that alter growth patterns and cause sterility. 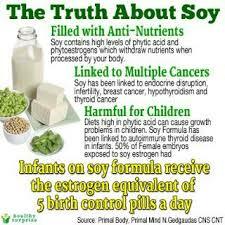 Toxicologists estimate that an infant exclusively fed soy formula receives the estrogenic equivalent of at least five birth control pills per day! By contrast, almost no phytoestrogens have been detected in dairy-based infant formula or in human milk, even when the mother consumes soy products. A recent study found that babies fed soy-based formula had 13,000 to 22,000 times more isoflavones in their blood than babies fed milk-based formula. Scientists have known for years that isoflavones in soy products can depress thyroid function, causing autoimmune thyroid disease and even cancer of the thyroid. But what are the effects of soy products on the hormonal development of the infant, both male and female? Male infants undergo a "testosterone surge" during the first few months of life, when testosterone levels may be as high as those of an adult male. During this period, the infant is programmed to express male characteristics after puberty, not only in the development of his sexual organs and other masculine physical traits, but also in setting patterns in the brain characteristic of male behaviour. In monkeys, deficiency of male hormones impairs learning and the ability to perform visual discrimination tasks-such as would be required for reading-and retards the development of spatial perception, which is normally more acute in men than in women. Soy infant feeding - which began in earnest in the early 1970s - cannot be ignored as a probable cause for these tragic developments. As for girls, an alarming number are entering puberty much earlier than normal, according to a recent study reported in the journal Pediatrics. Investigators found that one per cent of all girls now show signs of puberty, such as breast development or pubic hair, before the age of three; by age eight, 14.7 per cent of white girls and almost 50 per cent of African-American girls have one or both of these characteristics. New data indicate that environmental oestrogens such as PCBs and DDE (a breakdown product of DDT) may cause early sexual development in girls. In the 1986 Puerto Rico Premature Thelarche study, the most significant dietary association with premature sexual development was not chicken - as reported in the press - but soy infant formula. The consequences of this truncated childhood are tragic. Young girls with mature bodies must cope with feelings and urges that most children are not well-equipped to handle. And early maturation in girls is frequently a harbinger for problems with the reproductive system later in life, including failure to menstruate, infertility and breast cancer. It goes without saying that future patterns of sexual orientation may also be influenced by the early hormonal environment. Paediatricians are noticing greater numbers of boys whose physical maturation are delayed, or does not occur at all, including lack of development of the sexual organs. Learning disabilities, especially in male children, have reached epidemic proportions. Soy infant feeding-which floods the bloodstream with female hormones that could inhibit the effects of male hormones-cannot be ignored as a possible cause for these tragic developments. As for girls, an alarming number are entering puberty much earlier than normal, according to a recent study reported in the journal Pediatrics. Investigators found that one percent of all girls now show signs of puberty, such as breast development or pubic hair, before the age of three; by age eight, 14.7 percent of white girls and a whopping 48.3 percent of African-American girls had one or both of these characteristics. New data indicate that environmental estrogens such as PCBs and DDE (a breakdown product of DDT) may cause early sexual development in girls and a study in Puerto Rico implicated soy feeding as a cause of early menarche. The use of soy formula in the WIC program, which supplies free formula to welfare mothers, may explain the astronomical rates of early menarche in African American girls. The consequences are tragic. Young girls with mature bodies must cope with feelings and urges that most children are not well-equipped to handle. And early maturation in girls is frequently a harbinger for problems with the reproductive system later in life including failure to menstruate, infertility and breast cancer. Other problems that have been anecdotally associated with children of both sexes who were fed soy-based formula include extreme emotional behavior, asthma, immune system problems, pituitary insufficiency, thyroid disorders and irritable bowel syndrome. Concerns about the dangers of soy have prompted consumer groups in New Zealand and Canada to call for a ban on the sale of soy infant formula. Milk-based formula contains a better protein profile and does not flood the infant with anti-nutrients and female hormones. Breast feeding is best IF the mother has consumed a healthy diet, one that is rich in animal proteins and fats, throughout her pregnancy and continues to do so while nursing her infant. Mothers who cannot breast feed, for whatever reason, should prepare homemade formula based on whole milk for their babies. The rare child allergic to whole milk formula should be given a whole foods meat-based formula, not one made of soy protein isolate. Parents who invest time in preparing homemade formula will be well rewarded with the joys of conferring robust good health on their children. For references and further information on soy foods and soy formula, see www.soyonlineservice.co.nz or send $12 US to Soy Alert!, PMB #106-380, 4200 Wisconsin Avenue, NW, Washington DC 20007.